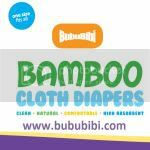 BubuBibi - www.bububibi.com - Bamboo Cloth Diapers: So how do you communicate with your babies if you have a traveling job? 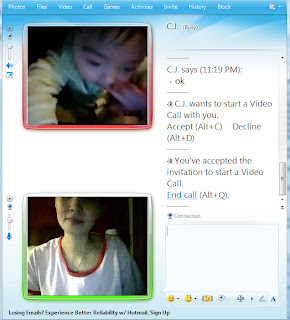 So how do you communicate with your babies if you have a traveling job? Any mommies out there who is a road warrior? Some of you know that I do have a day time job but some don't. Anyway, I am an IT consultant, therefore, the nature of my job is to travel. Thank goodness, I have been traveling to the same city for 2.5 years now but every Monday, I hit the road, I take a plane, fly out to another city and then, on Thursday, I fly back home. Those who don't know that I have a side business think that I am a selfish mommy. In their eyes, I am a self centered person as I leave my husband and kids every week to go to work and they think that by 5-6ish, I have all the time to myself while my poor hubby has to take care of our sons the whole day. What they don't know is I work from 8am to 8-9 pm in the office and I do not even go out for dinner as I feel that I am wasting my time, I immediately pack something to go and head back to the hotel to start answering emails, listing item, doing shipping, talking to suppliers, basically I am everything. Thank goodness my husband/ sister helps me pack at home as I am able to dial into my home computer to print out the labels. Most nights, I stay up to 2+am. They judge me even before they give me the opportunity to explain myself, even though I feel that I do not owe anyone an explanation. I still remember, both sons, I started traveling on the 10th week, I took 8 weeks off for maternity as I had c-section for both and then, on the 10th week, I hit the road again. My first trip after having my 1st baby was to Korea for a week every other 2 weeks and when he was 4 months old, I had to station there for 4 weeks straight. As for my second son, thank goodness it is a domestic trip and I am away only 4 days in a week. I make sure that I get a picture of each son daily from my husband. That is a must to me, whenever I have a long day, I look at their pictures, it puts a big smile on my face and I remind myself that I have to keep on fighting to provide them the best. 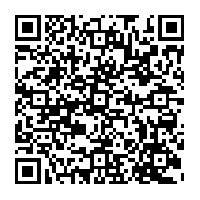 So, how do we communication? Thank goodness for technology, we chat though the computer most nights. That way, it makes them feel that I am still there I hope? 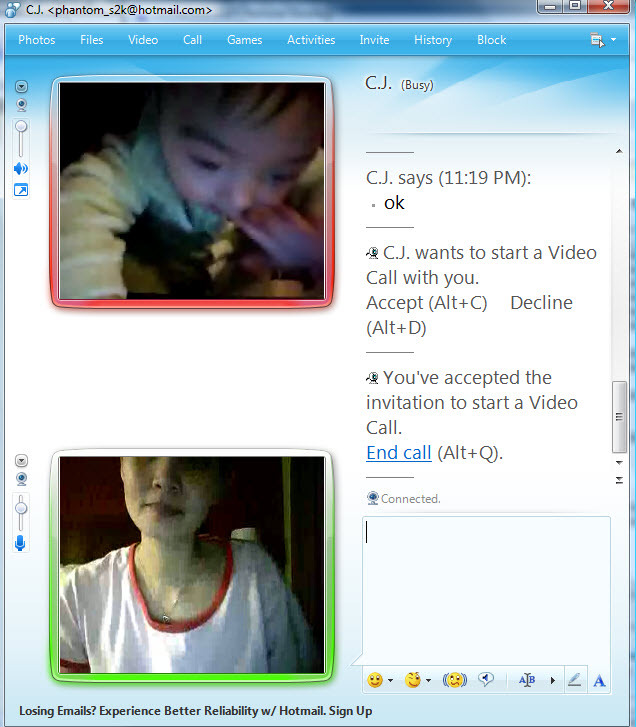 Sometimes, I do wonder if my baby knows or understand why he sees his mama through a monitor and sometimes, she's real. I wonder if that confuses him? Anyway, my husband flew to Phoenix for an interview on Monday and this is the most promising one so far. The HR came back stating that they will send us an offer. Yesterday was the best day in so many months as I finally hear something good. Though, as I started thinking, that means, now, we will have to take my husband away from the kids as well. It is hard for him to move with the kids over to Phoenix, therefore, they are still better off staying where we are since my parents can help me take care of the boys. Unfortunately, my parents cannot move because they have to take care of my brother who is recovering from cancer. I started checking on the air tickets and found that the tickets range from $300 to $390. Since the ticket price is so high, it seems that most likely, hubby can only fly once in 2 weeks back home and he has to take off on Sunday evening and be back on Saturday afternoon, which means we only get to see him 1.5 days in 2 weeks. Though, with everything that is going on.... all I long for is to see that little smile on his face.... I love my boys and I miss them. I am sure that God has his plans and he has the best arrangement for our family! It's 12am, Good Night everyone, I will have to continue with my business. Oh wow, that's got to be so hard, I can't even imagine. I'm working on finding a part time job, but it'll HAVE to be one where my kids can be with me - it wouldn't make any sense for me to work and have to pay for child care, we just wouldn't make money, especially when #3 comes! I hope things go well with the opportunity in Phoenix!